Learn Directly From The Masters of Success With Trading Stocks Online — Find Out Exactly How He Does It and Start Succeeding Along with Him and His Elite Group of Traders. YES DAN! PLEASE START SENDING ME YOUR FREE CHART OF THE DAY. Dan Fitzpatrick is the publisher of The Stock Market Mentor, an advisory newsletter and educational forum dedicated to teaching effective risk management and trading methodologies to aspiring traders and investors. He is a former hedge fund manager and a member of the Market Technicians Association, and he now trades from his home in Orange County, CA. Dan can be seen regularly as a contributor on CNBC, including MAD Money, Squawk on the Street and The Kudlow Report. Dan also publishes for a number of outlets, including a regular column for Real Money at The Street. Alan WolstencroftDan's patience and his website are exactly what I have been looking for. Someone who breaks down the charts, tells you what to look for, and gives you the confidence to do this on your own. Lori HallJust a quick note to say, "Thank You" for all you've taught me since I've been a member of SMM on and off (for personal reasons) since, I think 2009 or 2010. So often, we forget where we come from, and imagine that we got here on our own. Like you say, "Only the fools and the liars know for sure" which way the market will go from here, but for now I am so happy to be mostly in cash, vigilantly and objectively watching and waiting. Thank you so very much from the bottom of my heart. Will HarperAbsolutely appreciate the kind of Market Recap you sent last night. It's the "How-to trade" recaps that have made the biggest impression on my trading. God bless you. Sam GeorgiouYou gave me the knowledge to turn a definite loser in to a real nice winner! Bronna BarberI appreciate the work you do. My husband died in January. I received quite a bit of life insurance and took a small portion and put it back in my brokerage accounts. I remembered all your free videos and decided to give your website a try. Your trading style was opposite the guy who taught me. His did not work. I have taken most of your suggestions. As of right now, I am up in both my accounts by following your trades... thank you again! Steve Caldwell[Dan] is the only advisor that I have consistently been able to understand and trust. Benjamin ArmisteadI would like to take a few minutes to thank you for introducing me to the world of technical analysis. This is a long winded way of letting you know that you've inspired me to become a more knowledgeable technical trader. GingerI’ve been with you a long time because what you offer works. Nothing like it in the mentor universe. I have seen you build this from using just a spread sheet tracking trades to the superb site you have now. Your videos are like going from a seat at the back of a 6th grade classroom to the front row seat at University…. Really, a turning point for me in my trading education. I probably don’t let it be known how much I appreciate what you have built often enough but you can know, even if I don’t mention it, I am agreeing with everyone else’s praise. Peter Z.Of all the newsletter and trading services that I've tried since I began trading a couple of years ago, Stock Market Mentor is the best by far. Our Exclusive Community Forum is an active trading room; a community of traders that range from beginning traders with small portfolios to large money managers responsible for multi-million dollar funds. It is an ongoing source of education, trading ideas and market dialogue. I regularly join conversations, give feedback and share my trading ideas and experiences openly with the community. Our dedicated Education Department comes complete with trading tutorials that will challenge you to learn various aspects of trading to enhance your trading skills. You can quickly find the latest educational content, broken down into Trading Concepts and Technical Analysis all of which give you a “hands on” guide to the trading concepts and ideas you need. Video price alerts are sent to members as stocks covered in our Strategy Sessions and Chart of the Day videos make key technical developments during the trading day. You'll be emailed the chart of the stock along with the video providing the analysis of the setup. This is delivered during the market as the stock is making the move. Sometimes you just want Dan's input on a chart. No problem, just ask. You can send a request for Dan to cover the chart. Once he covers it, we’ll email you the video that covers your stock. Each month I host a ”Members Only” Question and Answer webinar where I get deep and personal in helping individuals solve their problems. It’s great to watch, even if you don’t have any immediate questions since the quality of dialogue we have will help steer you in the right direction. Members receive an extensive “Strategy Session” video each evening, which is typically 20-30 minutes long. The Strategy Session is an ongoing analysis of winning sectors, industry groups and stocks that we’re focusing on. It is a constant source of profitable trading ideas and is intended to educate, inform, and challenge you to become a competent and successful trader. 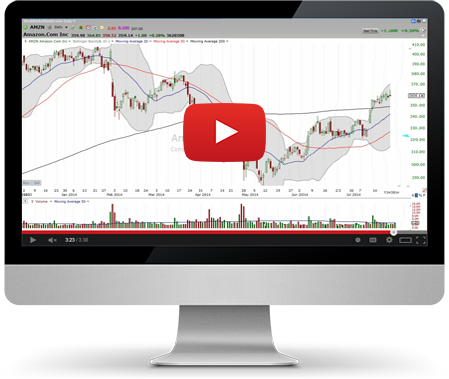 Members receive a more extensive analysis each weekend, with exclusive video content, including: a market overview, sector spotlight, Stock Watch videos to point you in the right direction to maximize your gains in the coming week. Every Stock Market Mentor Membership comes with a 30 day trial for just $7.77. Simply choose the membership level that's right for you, give it try and if you're not satisfied, we'll give you back double your investment (details below)! Give Stock Market Mentor a risk-free trial and if you’re not satisfied with it, we’ll double your money back. It’s really that simple. If you’re not 100% satisfied — with your investment of $7.77 — simply send us an email and we’ll send you back twice your initial investment. 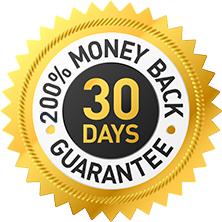 If you don’t cancel before your 30-day trial is up, you’ll automatically be billed the regular monthly price of your chosen monthly membership level each month until you cancel. YES DAN! I’M READY TO START MY RISK-FREE TRIAL OF STOCK MARKET MENTOR! I’ll get immediate access to the entire StockMarketMentor.com Membership site, including all past and future videos, training materials and the exclusive trading community form. Interested in Learning to Trade Options? If you want to take your trading to the next level, try Option Market Mentor. With options, you can generate income from your current portfolio and hedge against market reversals. You can maximize the potential of a small portfolio by generating big returns on option trades. Option Market Mentor members have access to trading ideas directly from Dan. You are also a member of a large community of option traders who share trades, ideas and knowledge every day. Dan gives you step-by-step instructions on how to put on the trade and manage it until it’s closed. He also regularly provides tutorials on common mistakes and current events in the market. Whether you are new to options or an experienced option trader, Option Market Mentor is an essential resource in your quest for success.